Let cook for at least 7 hours *DO NOT OPEN THE LID! 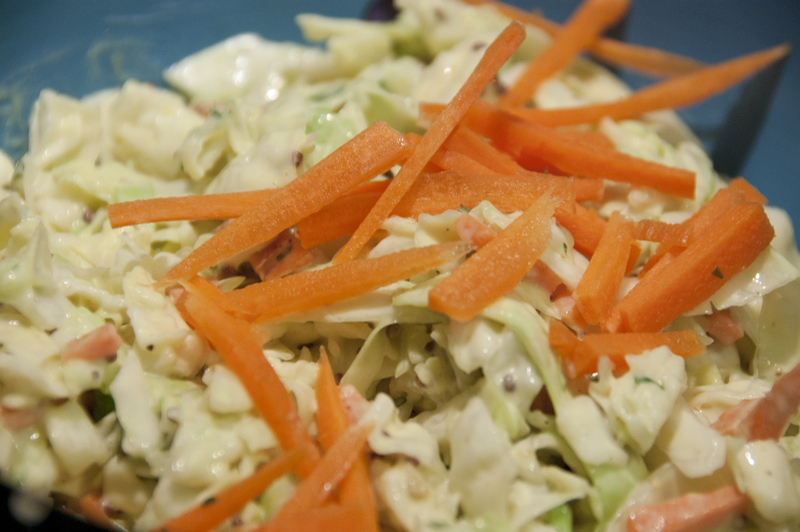 Note: We first tried using this coleslaw recipe from AllRecipes.com, and thought it was good but just okay. Later we adapted it recipe and made our own! 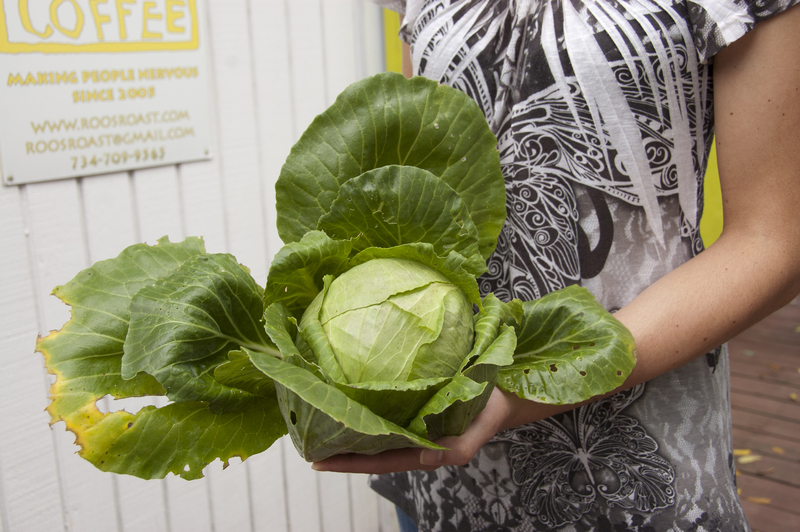 When you've got a head of cabbage this big, you must make lots of coleslaw! Makes you never want to eat the KFC kind again. 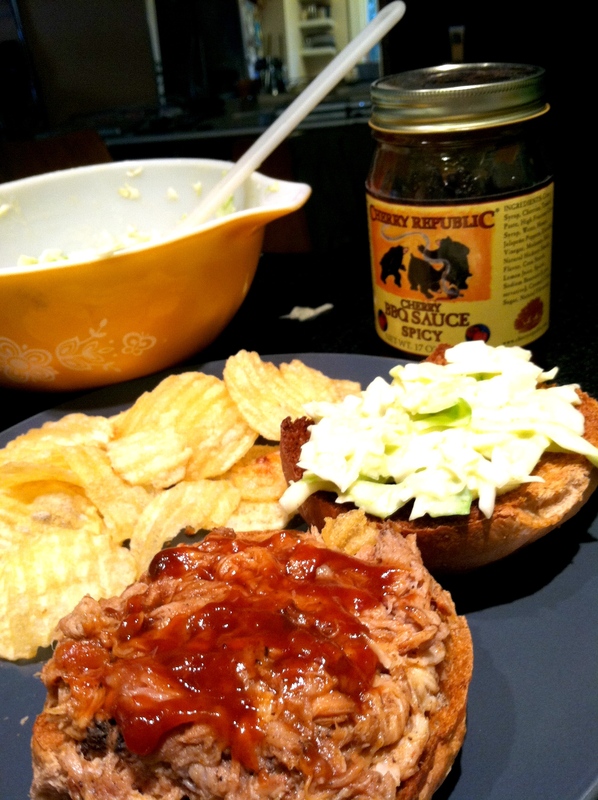 Goes great on pulled pork sandwiches too! Don’t forget to pick up your half-dozen Zingerman’s bagels for FREE on your birthday! 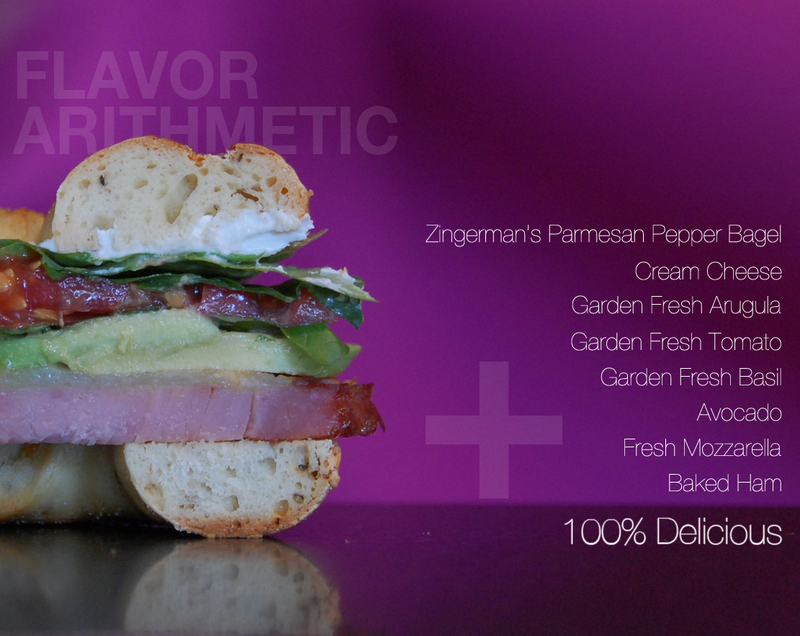 Check out our other Zingerman’s bagel recipe ideas. Beyond Basil.. 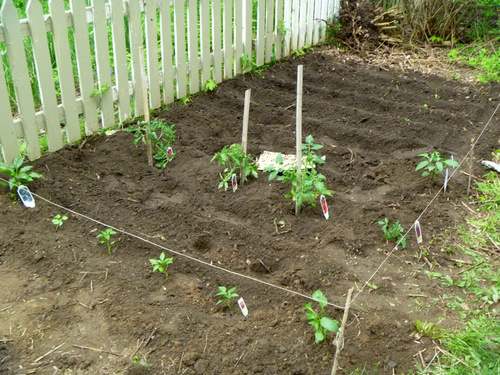 The Summer Squash Debut. 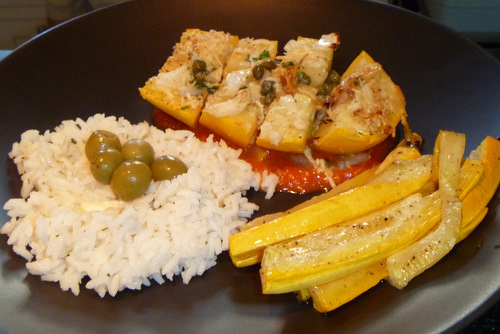 Squash, Parmesean, Garlic & Olive Oil. Divine! Initially upon discovering this giant yellow squash in our garden, we were delighted in thinking that we had grown the biggest and best squash the world has ever seen. Doug exclaimed that it was so much bigger than any we had ever seen in stores, and then it occurred to me, perhaps there’s a reason why they are all the same size in stores? 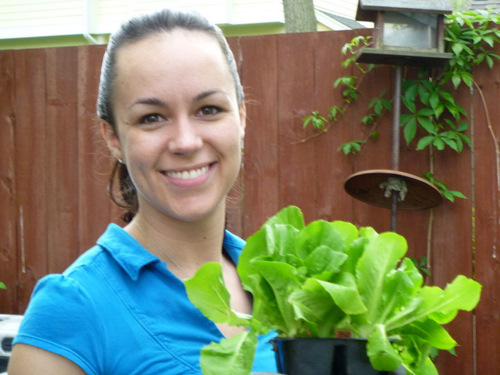 After all, they are genetically engineering fruits & veggies to be bigger and better all time, and yet we easily grew a giant squash without any prior gardening experience? It was too good to be true. 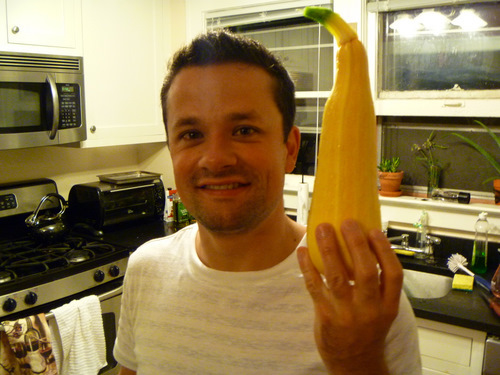 Come to find out, you want to avoid letting a summer squash get too large. “A large squash can become very seedy and gain a mealy, undesirable taste.” Ahh.. right. Well now that we have this giant un-delicious squash, what do we do with it? The internet to the rescue. Actually on the very same page that told me I should have picked this squash a week ago, it also linked to a recipe for an overgrown squash, or squarsh as we like to call it. It wasn’t half bad actually, and we reallly enjoyed it. However, Doug improvised (of course) a little by adding paprika, adding a bit more garlic, and using Chipotle Olive Oil. He also used mozzarella in addition to parmesan cheese. 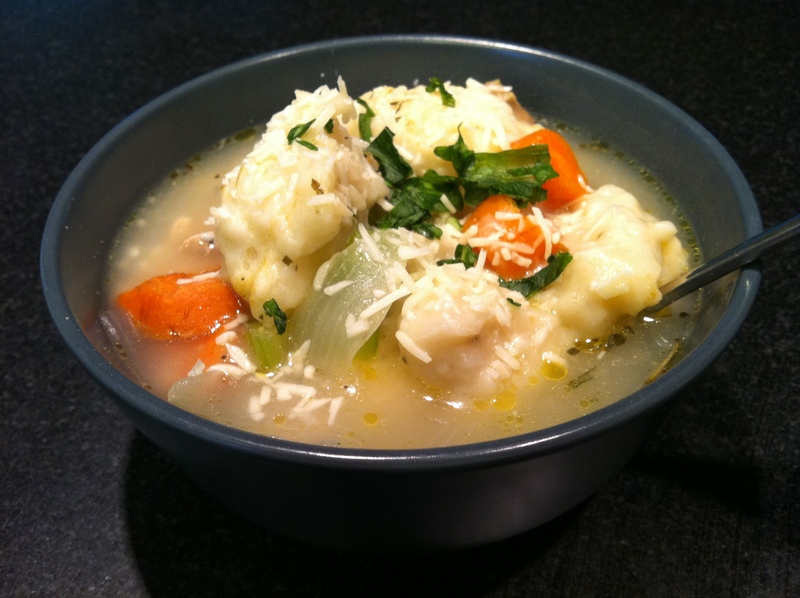 This week we enjoyed a similar recipe that Doug cooked up on his own. I think it turned out to be outstanding and far better than the first. 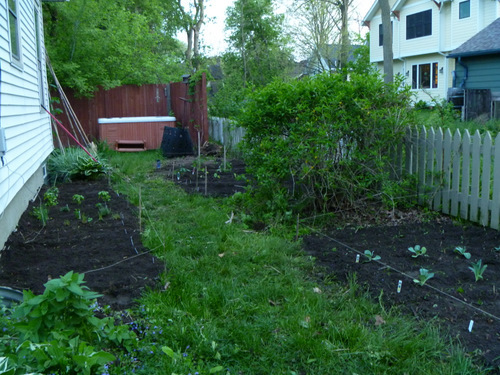 Granted the squash wasn’t as overgrown this time, but any size of squash you’ve got will do. Just add the magic sauce, and voila! It may be Independence Day, but Italian colors taste better! 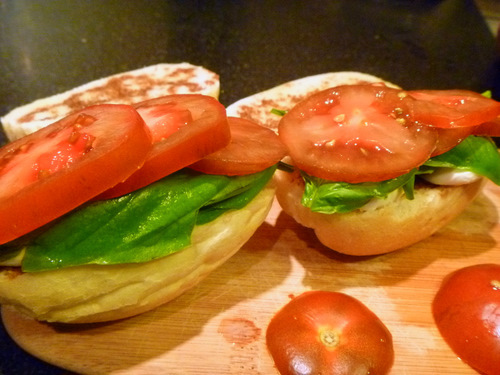 Caprese Sandwiches, such delicate flavors perfectly combined! Sandwich – Hard roll sliced. Baste with olive oil and balsamic vinaigrette (both sides). Thick slice tomatoes, fresh basil leaves, and fresh mozzarella. Swoon.